The acoustic partition wall series is the most popular specification range of fully operational single-panel sliding partition systems. 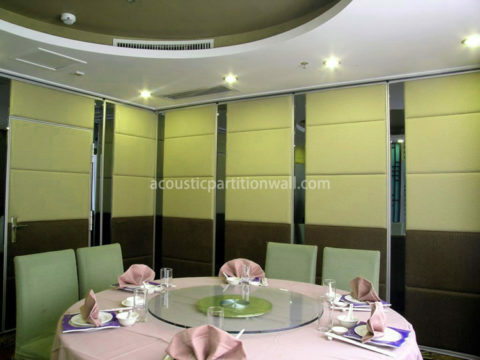 The noise reduction of up to 50dB noise is achieved with a combination of operable top and bottom seals, high performance multiple sound absorbing material in partition walls and panel assembly design which allows noise reduction between the frame and the outer layer. 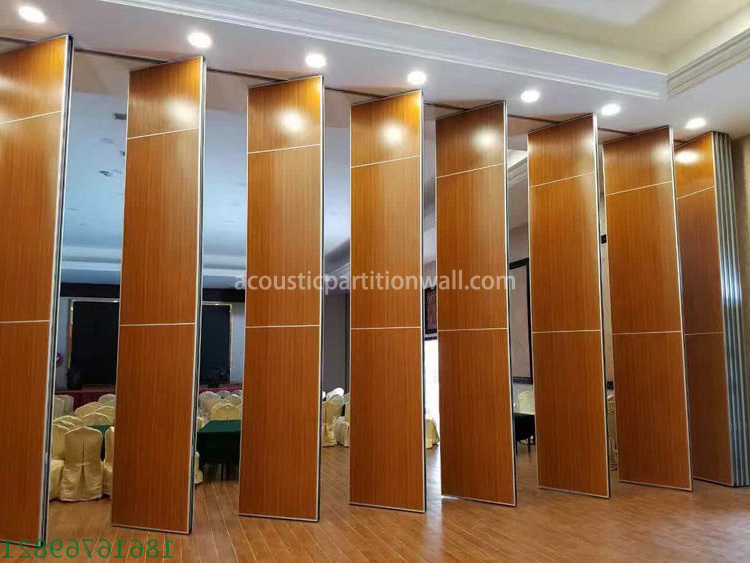 The vertical channel of each acoustic partition wall panel contains a polymer insert that is acoustic sealed when the panels are placed as a wall. 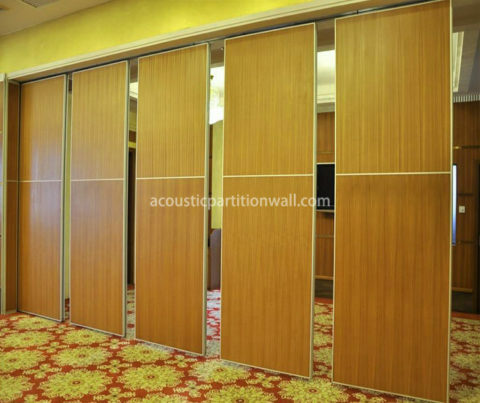 The sound insulation partition walls are available in three thicknesses, 65mm, 80mm and 100mm, depending on the acoustic rating (from 30dB to 50dB). 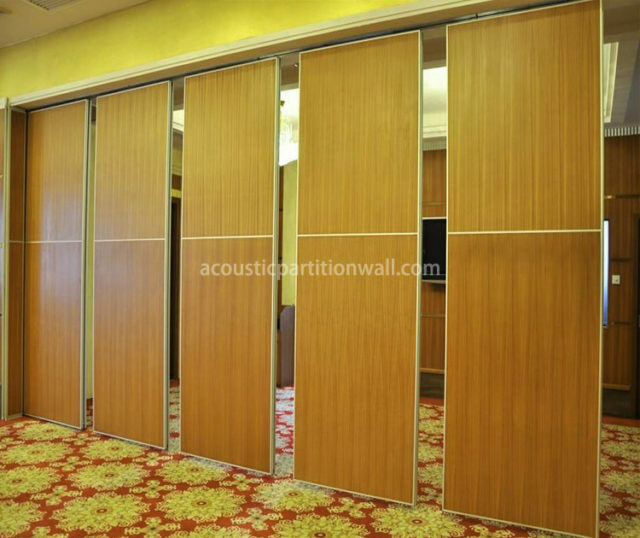 Acoustic partition wall is usually used where indoor space needs to be fully utilized. Hotels, convention centers, educational institutions, offices, training areas, etc. 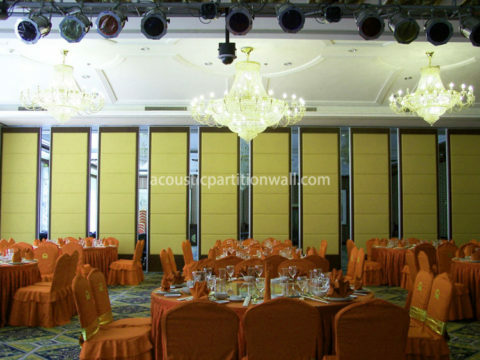 can all benefit from the flexibility of partition wall sound insulation system. When the operable seal is retracted, the panel slide easily along a unique aluminum overhead rail system (no floor rails are required). The telescopic end panel allows the walls to be locked off to complete the acoustic seal. The rail and carrier systems make sure acoustical partition wall is easy to operate and change direction, allowing panel stacking in countless configurations. For aesthetic appeal, it is possible to provide almost any decorative finish, including veneer, laminates, walls, carpets, whiteboards and decorative lacquers. 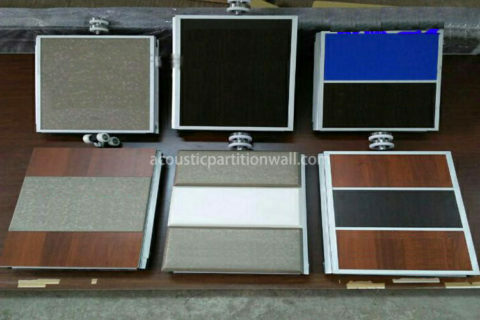 Individual acoustic partition wall panel can be stored to maximize the use of space. A wide range of surface finishes are available for hanging room partitions. Three panel thickness are available for a variety of acoustic requirements.